New to Swisson this year is the XES-2T6 Premananged Ethernet Switch. This 2+ 6 Switch gives two aggregated trunk ports for connection between switches, and 6 additional etherCON ports that can be assigned to VLANs. Much like the XES-8G this unit has dual power supplies for redundancy and reliability. This robust switch offers DiffServ QoS for Dante, Link auto-negotiation, and no broadcast bandwidth limitation. The XES-2T6 comes preconfigured to work with protocols such as Art-Net, sACN, and Dante without needed to make additional settings. 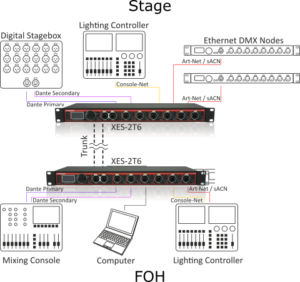 Swisson has also expanded on the XND line, now offering both a Rackmountable 8 port and 4 port Ethernet to DMX converter. All versions of the XND series support sACN, Art-Net with each output portable, to be configured to a unique and arbitrary universe. Each of the DMX outputs is optically isolated and RDM compliant. 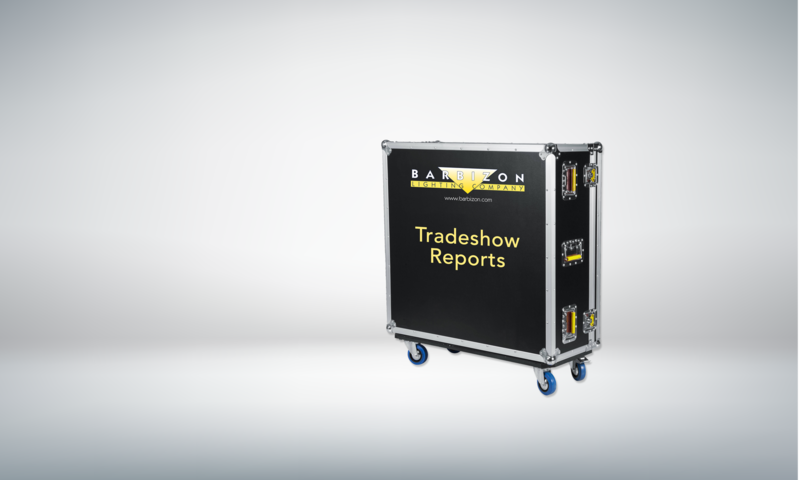 Units use an encoder knob for quick configuration through the front display screen and have both Neutrik PowerCON input and output connectors. 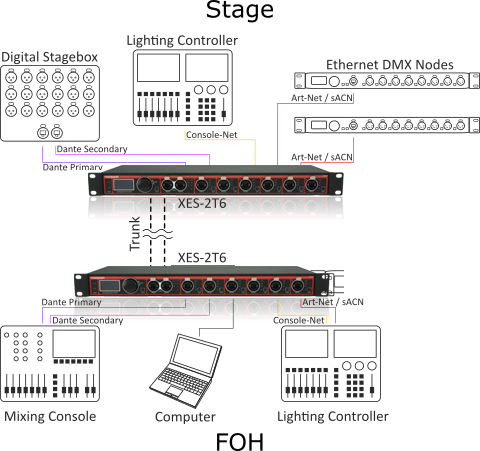 If two controllers send data to the same universe, XND-4 and XND-8 nodes automatically merge the DMX data, which makes the integration of a backup lighting controller straightforward and may prove helpful for fixture testing during the setup of an installation.